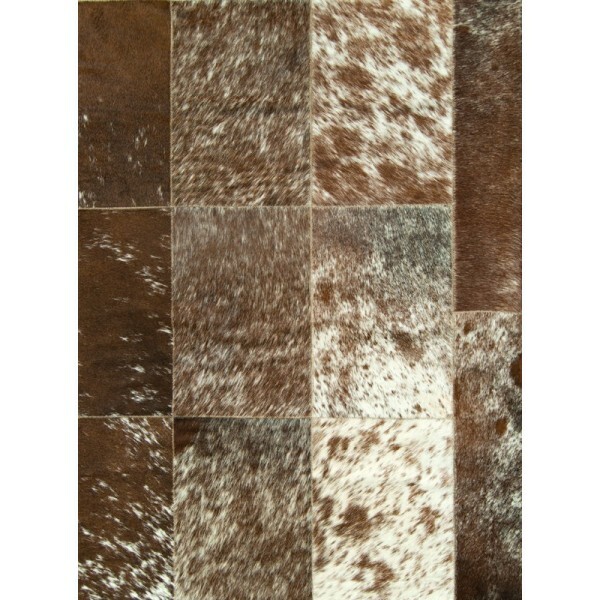 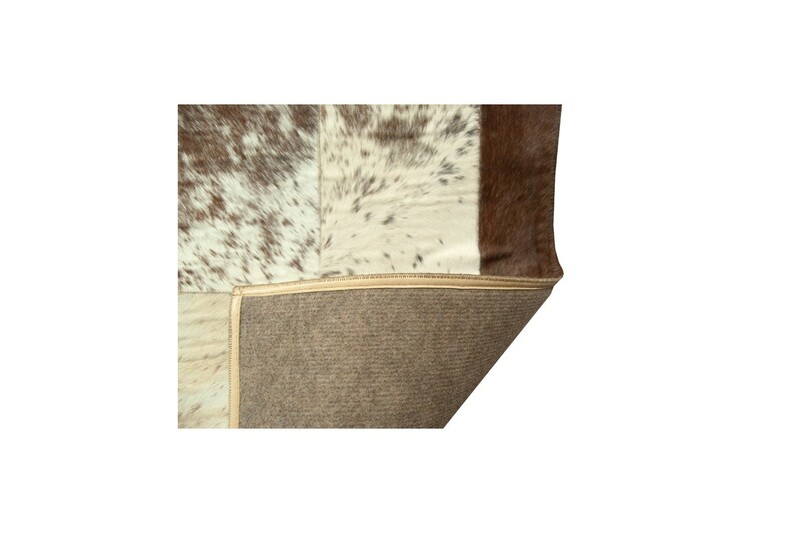 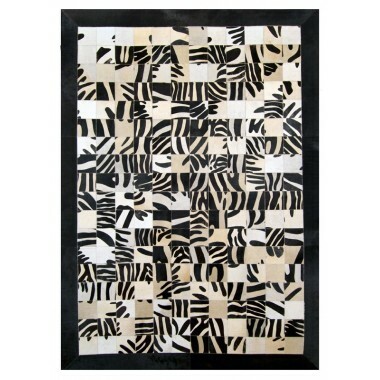 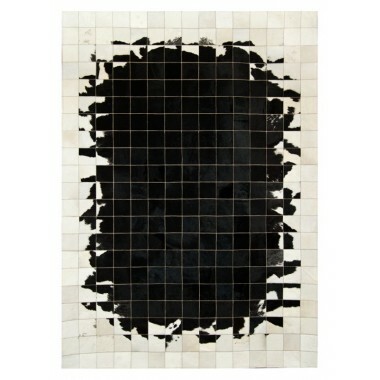 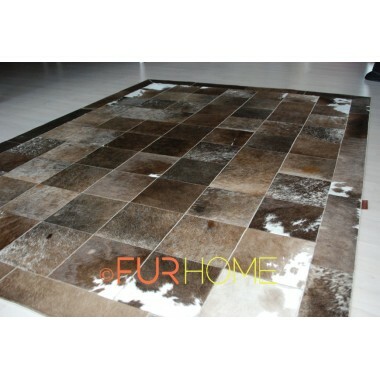 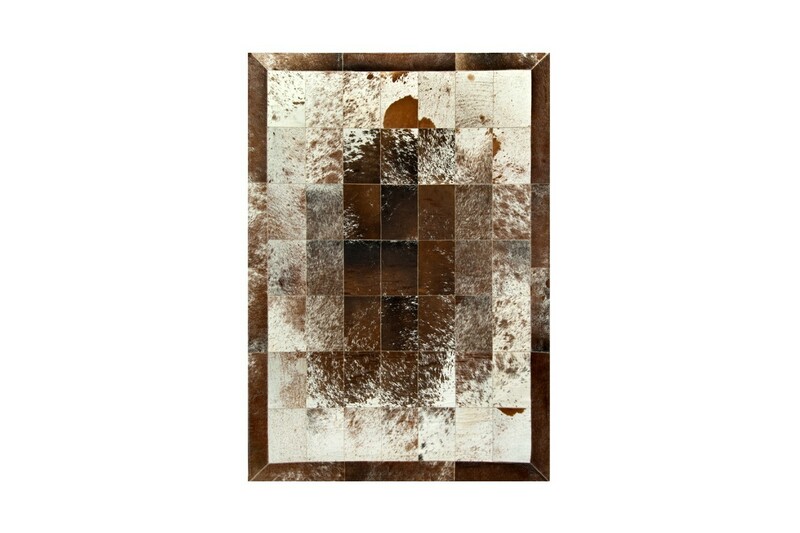 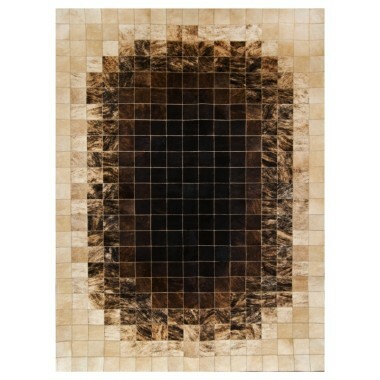 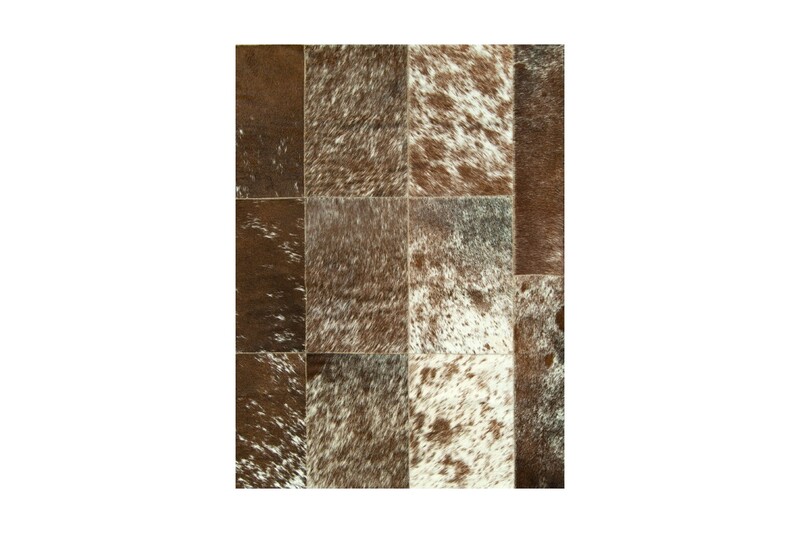 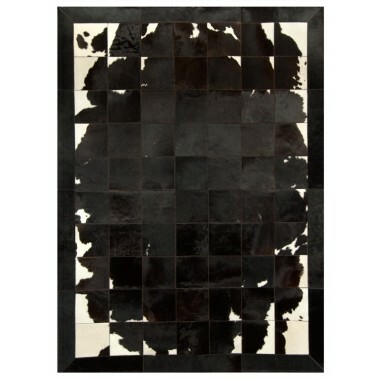 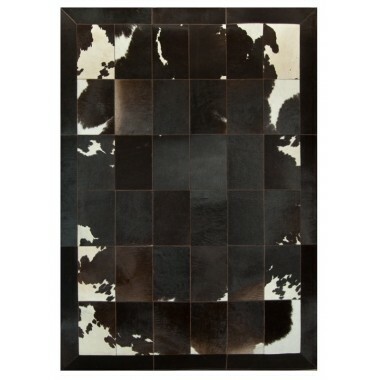 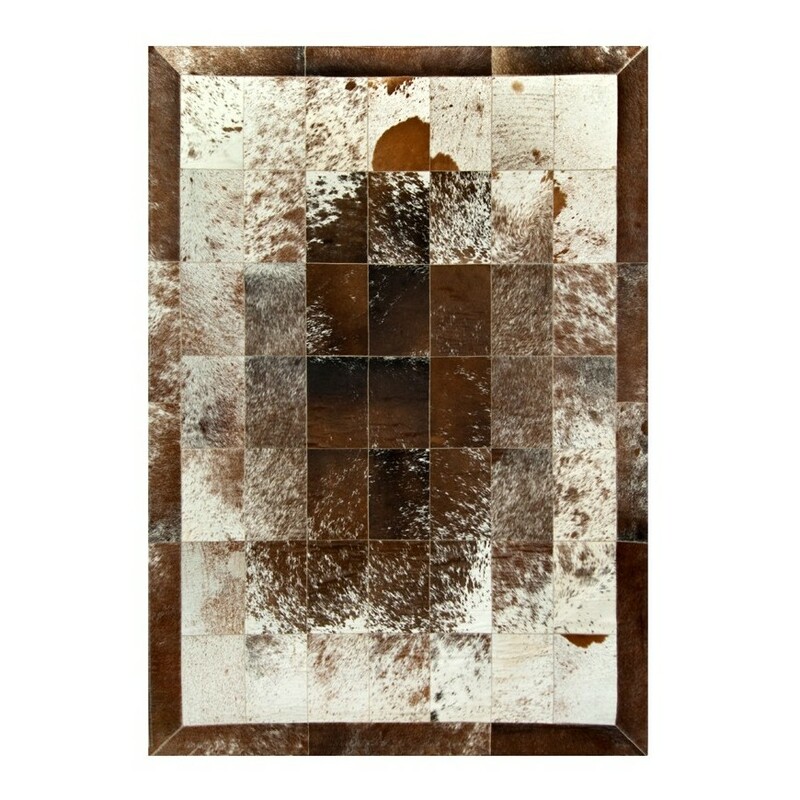 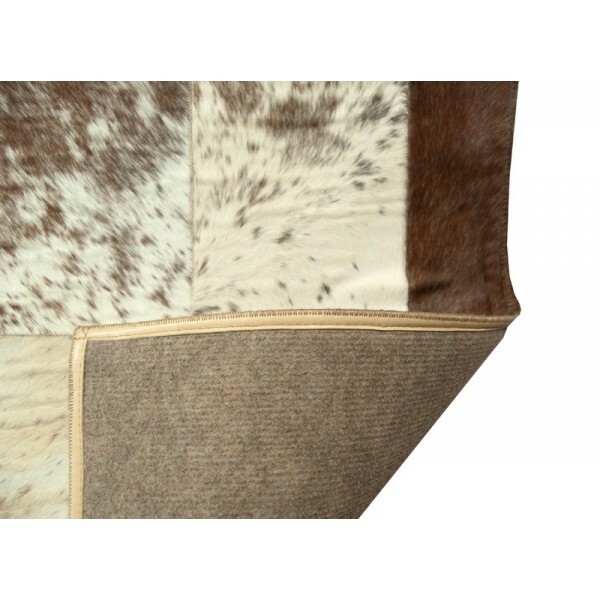 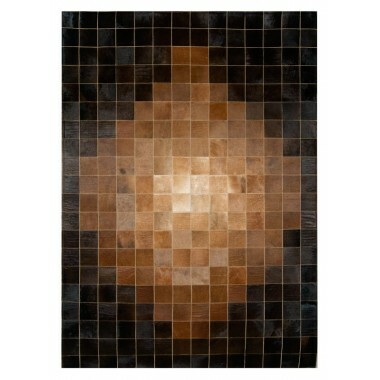 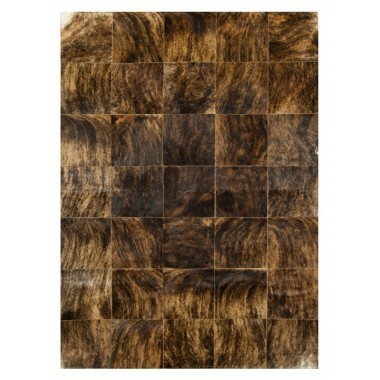 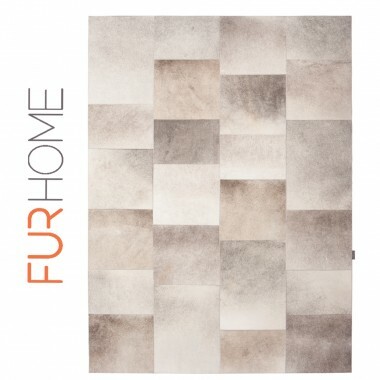 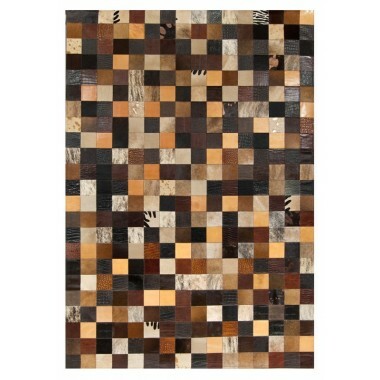 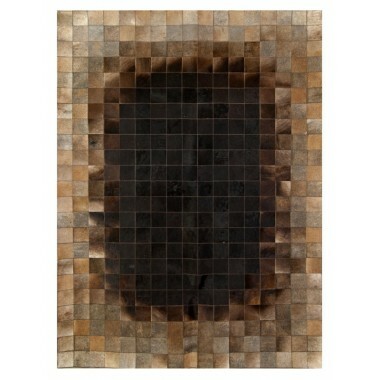 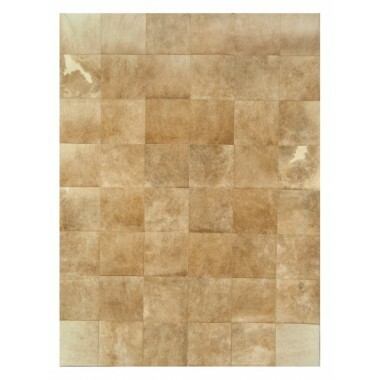 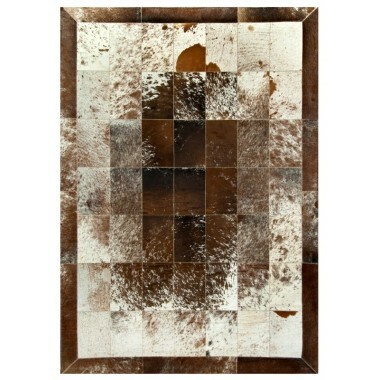 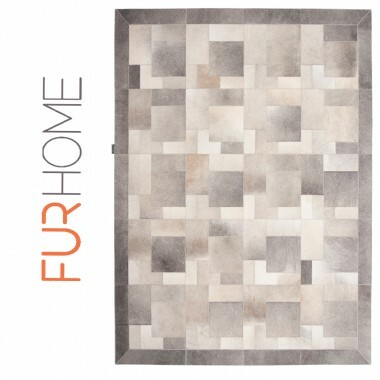 Surely your floor will fall in love with this cowhide leather carpet. 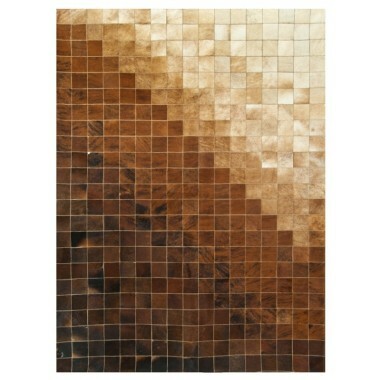 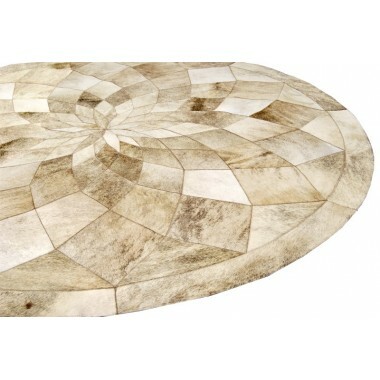 Brown, white and beige hues swirl and create a space with a sense of warmth. 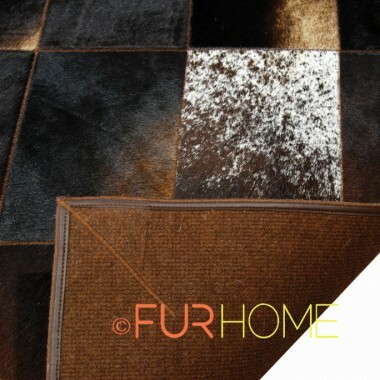 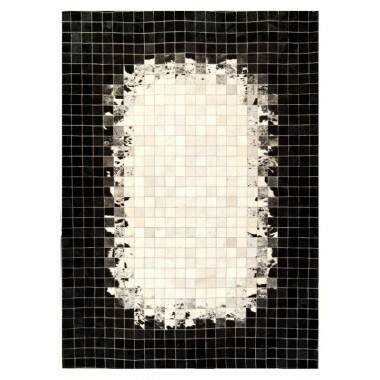 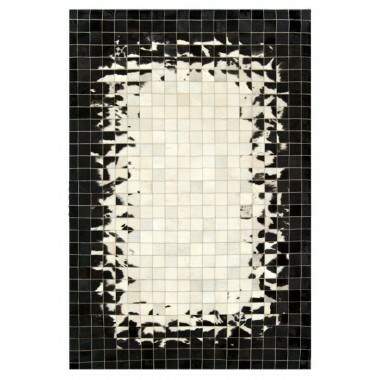 Darker shades in the center that open out -salt & pepper style- and make it grow and decorate the room without choking it. 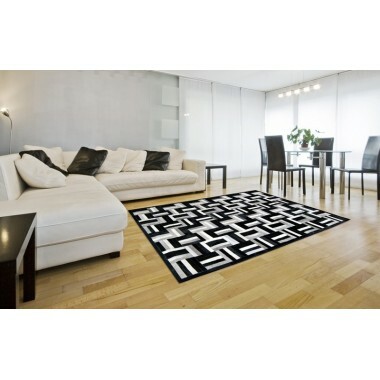 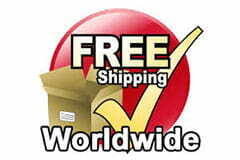 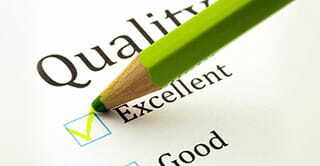 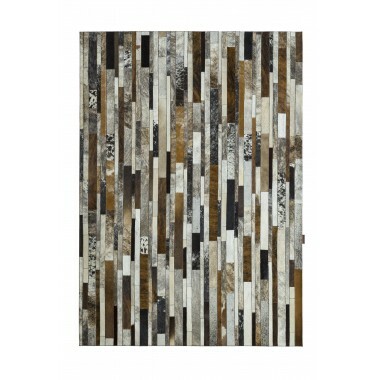 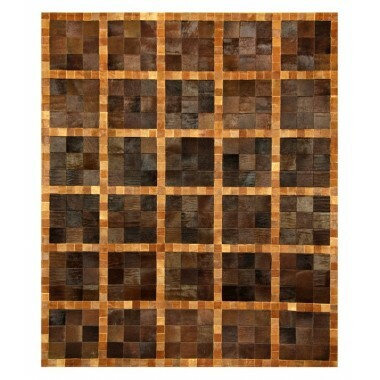 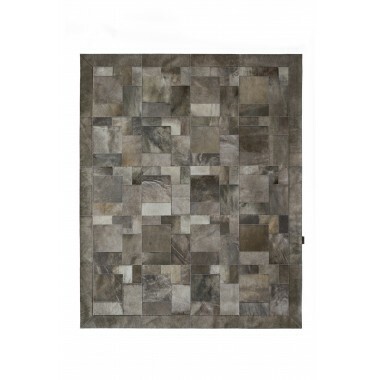 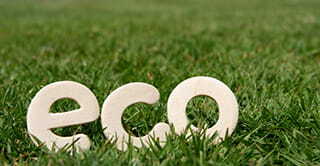 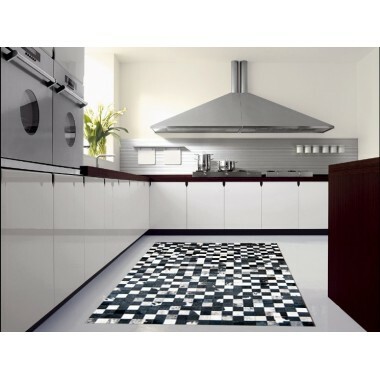 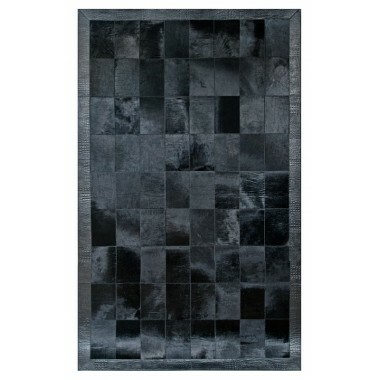 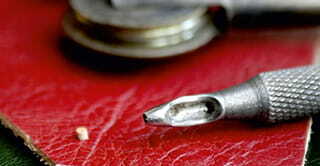 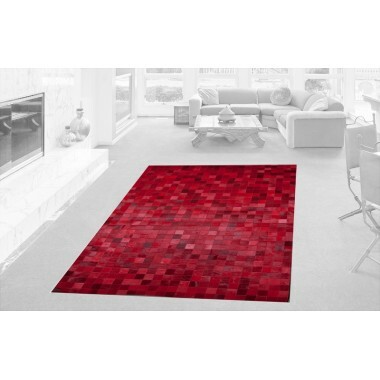 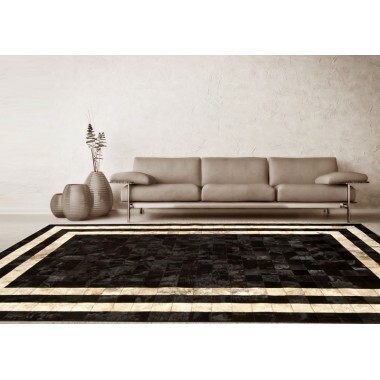 Excellent picturesque design that make an ideal carpet for every one who wants to enjoy his home.